While installing a new garage door can greatly enhance the curb appeal of your Dayton, OH, home, it could have many other benefits, too. For instance, a new door with enhanced security features could better protect your family from intruders, and an eco-friendly door could help reduce the amount of energy needed to heat and cool your home. To maximize each of these advantages, turn to the experts at 31-W Insulation for a top-of-the-line garage door from one of the industry’s leading manufacturers, such as Amarr®, Wayne Dalton, or Windsor Door. Many of our garage doors are backed by impressive warranties, so no matter which door you ultimately choose, you can be confident that your investment is well protected. 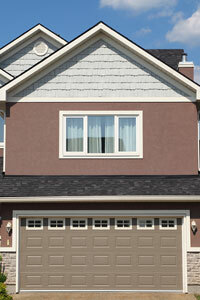 Don’t waste another day with an unsightly, unsafe, or environmentally unfriendly garage door. Instead, contact 31-W Insulation to begin the exciting process of choosing a new garage door for your Dayton, OH, home. Be sure to ask about our other home improvement services, including the installation of gutters, closet organizers, fireplaces, attic insulation, and more.